Kyle’s belief is “The game of football teaches young men more about life than they will ever be able to learn anywhere else”. Where else will you find whites and blacks, rich and poor, conservatives and liberals, believers and non-believers having to come together as one and be totally reliant upon each other in order to be personally successful? Where else do young men learn that only through setting specific goals and working hard each and every day, step by step, do you achieve the established goals? And, where else in their lives can they learn that life does not give you anything, you have to work, sweat and push through the tough times just so you have a chance to earn it? Kyle Collins was an all-star running back at Southside High School in Gadsden, AL. After leading the entire state in rushing his senior year with over 2,200 yards, Kyle was positive that colleges would come to his doorstep so that he could realize his childhood dream of playing college football in the SEC. However, as we all know, life does not always follow our script. Only one college offered Kyle the opportunity, Jacksonville State University. After one season with the Gamecocks, Kyle realized that his lifelong desire to play in the SEC would not subside. So Kyle made a watershed decision and relinquished his scholarship and a promising career at JSU to “walk-on” at Auburn University. As he tells it; “Although not the safe decision, it was an easy decision. I had to follow my dream. I knew I could live with failing, but I would not be able to live with never having tried”. In January of 1982, Kyle enrolled at Auburn and with several goals. First, earn a scholarship in order to obtain his college degree. Second, make the travel team and third, make the starting line-up. His entire career Kyle had always been one of the better players on any team he was a member of. Now, entering Auburn, for the first time, he was not the star. In fact, it was quite the opposite; he was an un-recruited, walk-on that no one had ever heard of. His talent was not enough; he had to dedicate himself to pushing to limits he never had in order to just have the opportunity to play. Kyle remembers, “I was a slow, white, unknown running back attempting to compete for playing time with Bo Jackson, Lionel James, Brent Fullwood and Tommy Agee”. If ever a young man had a reason to be discouraged, Kyle surely did. Nevertheless, what Kyle did was dig deep, find something bigger than himself and do what was necessary to succeed. It wasn’t easy; in fact, he seriously considered quitting numerous times, however, quitting, he knew, was not an option. He had to work harder, train longer, trust in God, stay positive and continue to do the “next right thing”. After being “red-shirted” the 1982 season due to NCAA regulations, Kyle began to impress the coaching staff with his tenacity. What he lacked in comparative talent, he made up for with his fundamentals, toughness and competitive spirit. After spring training in 1983, Coach Pat Dye offered Kyle a full scholarship (Goal #1 achieved). Kyle made the travel team in 1983 (Goal #2 achieved) becoming an integral part of the SEC Championship team which ended the season 11-1 and ranked No. 3. In 1984, Kyle was named to the starting line-up in the same backfield with the future Heisman Trophy winner, Bo Jackson (Goal #3 achieved). From a walk-on, Kyle achieved the goals he had set for himself. He was a leader within the program becoming the Fellowship of Christian Athletes President as well as the President of the A-Club. Kyle was named the USA Today Player of the Week vs. Tennessee, 1984, and to the Academic All-SEC Team in 1984 & 1985. He earned his bachelor’s degree and was named a member of Omicron Delta Kappa honorary scholastic society. In high school, Kevin was a standout 2-way player for the Liberal Redskins in southwestern Kansas. He was one of only two sophomores that played on the 1980 5A State Championship Team and went on to become a three year letterman as fullback and linebacker, two of those years as the starter in both positions. He was selected as the All Area Defensive Player of the Year his junior and senior seasons. As a linebacker he still holds the unofficial state record for tackles in a single game with 33. After high school, Kevin turned down a scholarship to Pratt Community College in order to walk-on at the University of Kansas. His dream of wearing the Crimson and Blue of the Jayhawks was within reach. Kevin lived the grueling life of a Division 1 walk-on, playing the role of that week’s opponent during practice. The ‘Scout Team’ is an education all its own and one that helped prepare him for the real world. Dream, Struggle, Victory. It was worth the entire 'Struggle’ for the ‘Victory’ of suiting up for home games and running out of the tunnel at Memorial Stadium with the rest of the team. Running onto the field and being greeted by a stadium full of Jayhawk Fans is something he will never forget! Kevin was the only walk-on to score a touchdown in the Crimson & Blue inter-squad game when he grabbed a loose ball and scored on a blocked punt. He went on to play in Junior Varsity games but during his second year he made a decision that shaped his life forever. It’s now one of his teaching points but it’s also a permanent personal area of regret. During the second year, Kevin left the team to focus on his Architecture degree. Kevin says, “In my mind, I decided that I couldn’t play at this level, that I needed to focus on school and I had a girl I wanted to spend time with.” All valid points, but the truth was, as he says, “I gave up on my dream.” Now 30+ years later, Kevin hopes to encourage young men to pursue their dreams no matter what. “We must all suffer from one of two pains: the pain of discipline or the pain of regret. The difference is discipline weighs ounces while regret weighs tons.” And, he notes, “Regret is always with you”. Just one year later, the walk-on player that was below him on the depth chart, worked and worked, keeping his eyes on his dream and made the traveling squad, got a scholarship and became an integral part of the Kansas roster. This forever hammered home the concept. “Dream, Struggle, Victory”. Although the victory may not be a ‘win’, it is the knowledge that you did everything you could at that moment to pursue the goal. 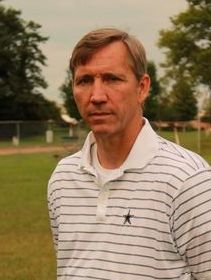 Kevin serves as the current Athletic Director and also as an assistant coach for the Cowboys. He lives in north Huntsville with his wife and has 4 children. His 3 boys all played for the Cowboys. Jana graduated from Westbrook Christian School in Rainbow City, AL where she was a junior varsity & varsity cheerleader. During her JV & varsity years her squad won 2 NCA (National Cheerleader Association) Spirit awards, an NCA Top Team Award as well as the NCA National Championship Bid Award. In addition, during those two years Jana and her squad won an NACC State Cheer Championship (Basketball), 2 NACC State Cheer Championships (Football) and the NCA Individual Spirit Award.